​Apex Legends Bangalore is the offensive powerhouse of Respawn Entertainment and Electronic Arts' new battle royale game. Her skill set makes her a nuisance to deal with in skirmishes while also letting her pump out loads of damage. She's great to pair up with other Legends like Gibraltar and Bloodhound, letting her use her abilities most effectively. 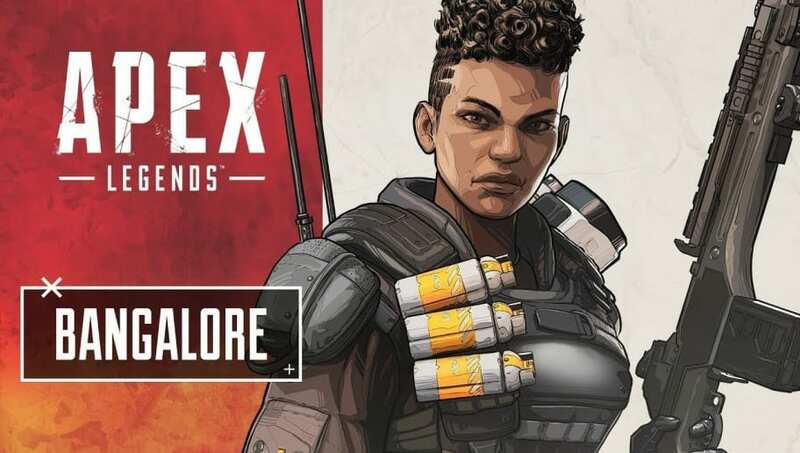 Here's how to play Bangalore in Apex Legends. Bangalore is one of the most complete Legends in the game. She has a defensive, offensive and utility ability to use in any scenario. As mentioned before, combining her Rolling Thunder with Gibraltar's ultimate covers an unmatched amount of ground. Her Smoke Launcher doubles not only as cover to revive a fallen teammate, but also as utility to push up and destroy enemies. Apex Legends is now available on PlayStation 4, Xbox One and PC on the Origin store for free.